Legal Malpractice Insurance Legal Aid Society, Professional Liability Insurance, Legal Services Organization: aggressive comparison shopping to find you the broadest coverage at the best price. ‘A+’ insurers. Free quotes. 1-page app: download below or apply on-line. We’re Lawyers Insurance Group, legal malpractice/professional liability insurance brokers. Our mission is to obtain the broadest coverage at the best price for every legal aid services organization. We accomplish this by scouring the market on organizations’ behalf, leveraging our access to dozens of “A”-rated insurers that specialize in this coverage. We also provide attentive service, expert advice, and strong coverage advocacy if you incur a claim. Office outside of the U.S. Merging with or acquiring another firm or orgainzation. We’ll send your orgainzation’s application to all viable insurers, based on your firm’s risk profile, contact you when we receive their quotes, and answer all of your questions. We frequently receive applications for standard legal malpractice insurance from legal aid societies or legal services organizations. However, standard legal malpractice insurance is exclusively for private practice law firms and their attorneys. Legal aid societies and legal services organizations need Legal Aid Professional Liability Insurance. It covers the organization, which is the named insured on the policy, and all of its attorneys – both paid and volunteer – who are covered for all legal services that they provide on its behalf. Thus, the organization’s attorneys don’t need their own legal malpractice insurance for their legal aid work. They’ll need their own policy only if they take on clients outside of their legal aid work, i.e., some attorneys who work for legal aid/community legal services organizations also ‘moonlight’ part-time as sole practitioners. Work with a broker who’ll submit your application to every “A”-rated insurer that’ll likely offer coverage to your organization, based on its risk profile. Maximizing competition is the key to getting the best terms. 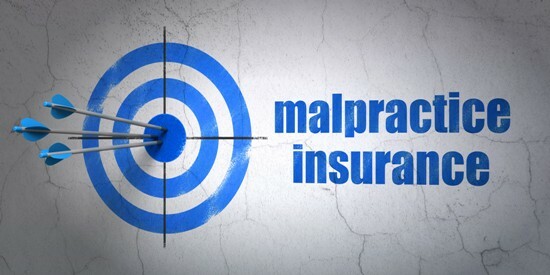 If you’re ready to get the best terms on your legal aid society’s malpractice insurance, fill out our on-line application. It will give the insurers enough information about your organization to offer “ballpark” terms, without your having to complete a full application. We’ll send your form to all suitable insurers, and contact you as they respond. If you like any of the estimates that we obtain, then you can complete a full application and provide any other information that the insurer needs to offer your organization a firm, final proposal. The premium of the final proposal usually matches or is very close to the estimate. Alternatively, download, complete, and return this Legal Aid Society Professional Liability Insurance Application from CNA Insurance Co., the largest insurer of law firms and legal aid services organizations in the US.